Getting ready to walk takes just a few minutes to think through a few things. I take about 5 minutes to walk through the thought process below, and when I’m done, I’m ready to walk. The first thing I check is the weather. In Denver, I try to look 3-4 hours out from the time that I leave to make sure I’m covering the rapid changes that happen here in weather and the weather duration of the walk. Next, I pick where I’m going. Is it urban? Trail? Sidewalk? This decision will queue up what shoes I wear. How far do I think I’ll go? 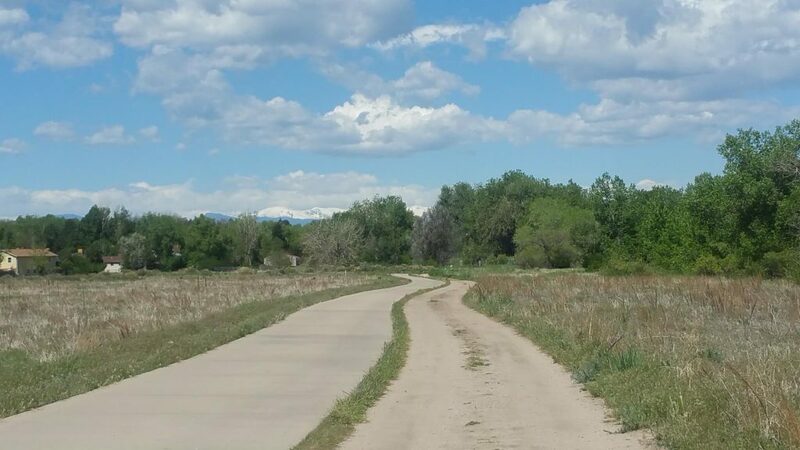 Although I generally don’t guide my decisions based on a step count or mileage, I do like to know how far I’ll walk. Knowing the distance helps determine my next decision. What shoes will I wear? I’ve blogged a lot about shoes. 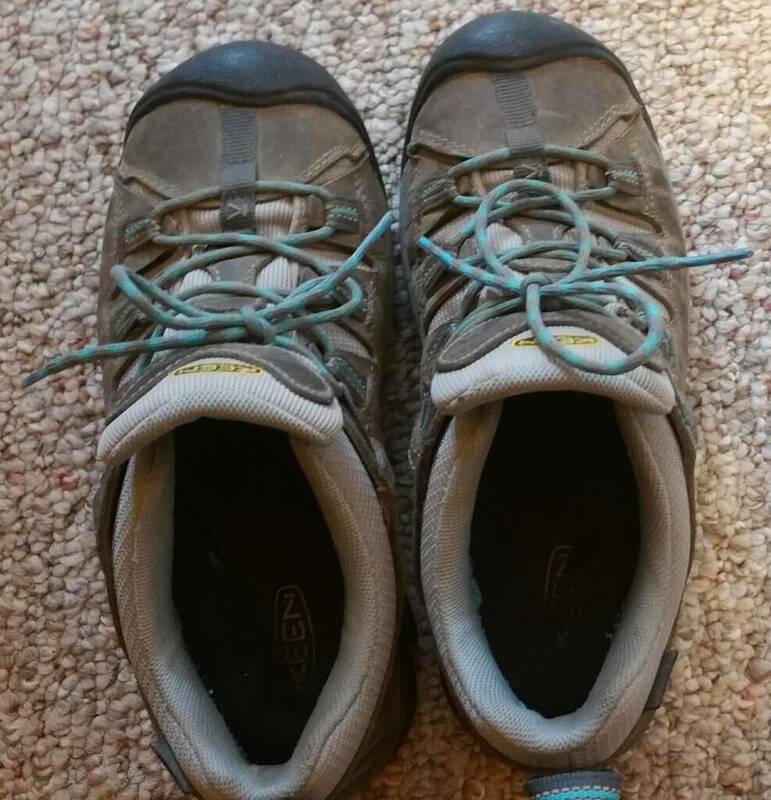 All of my shoes are waterproof, and all of them are comfortable for 5 miles. I narrow my shoe choice down to what surface I’ll be walking on and how far I’ll be going. Once I’ve figured out all of the above, I think about my legs. Should they be covered, waterproofed, or tanned? Or, in terms of my closet, do I wear athletic pants (think tights, capris, joggers), waterproof hiking pants, or shorts/skorts? Basically, in the winter I go for the athletic pants. In the summer, I go for skorts. I blog, ad naseum about skorts and chub rub in another post, but rest assured I don’t have any particular love for a brand in the athletic pants department, but when it comes to skorts, I used to only wear Athleta, but now I exclusively wear Skirt Sport skorts. They are *simply* the best product out there. Short-sleeve, long-sleeve or hoodie? I’m no fashion plate, and I really don’t subscribe much to wearing particular material types. Yes, there’s much to be said about high-performance materials when you’re in high-performing situations. But come on, we’re talking about a walk on a nearby trail. Thus, I find cotton t-shirts from Target for $3-4 to be perfect. Ditto for my hoodies, which often come from tourist locations for when I didn’t pack something warm enough and had to buy an overpriced hoodie in the tourist trap. C’est la vie. My mom always says if her “gills” are warm, then she’s warm. Her “gills” is her rib cage. 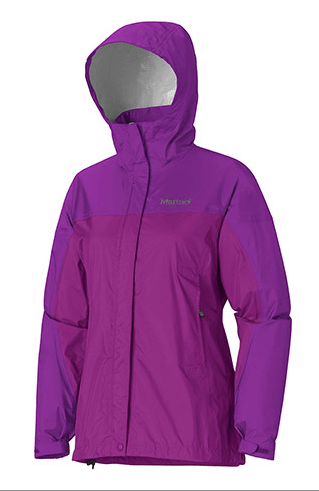 For me, I’ve written about this many times, my favorite piece of outwear is the Marmot Precip. If that’s not warm enough, I’ll throw it over a hoodie. And if that’s not warm enough, I’ll put on my puffer jacket. I’ve written about this before, and I’ll mention it again. The only thing on my thick-haired head is the Wallaroo. But sadly, Wallaroo no longer makes my beloved hat (maybe I’ll buy the pattern and make them myself!). The next best thing is another Wallaroo; I’ve yet to find a pony-tail hidey-whole replacement. But first I have to pack my bag, and that’s another whole blog post in itself. What are you wearing? Why? What’s your favorite?